Carefree and very cheap: The AlmencardPLUS from the Hotel Masl gives you special advantages during your holiday. The adventure and advantage card is free for your entire summer stay. 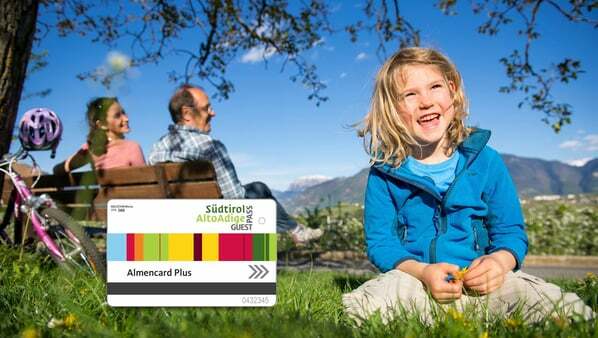 The AlmencardPLUS is valid from mid-May to early November 2019 and offers a variety of opportunities. You can use all regional public transport in South Tyrol as well as nine mountain railways and cable cars for free. You also have free admission to around 80 museums and free participation in the entire programme for the holiday region Rio di Pusteria, plus special prices at all bonus partners. Subject to change. Minimum number of participants: 4 adults or 5 children from 5 years. Registration at the reception by 4 p.m. the previous day.